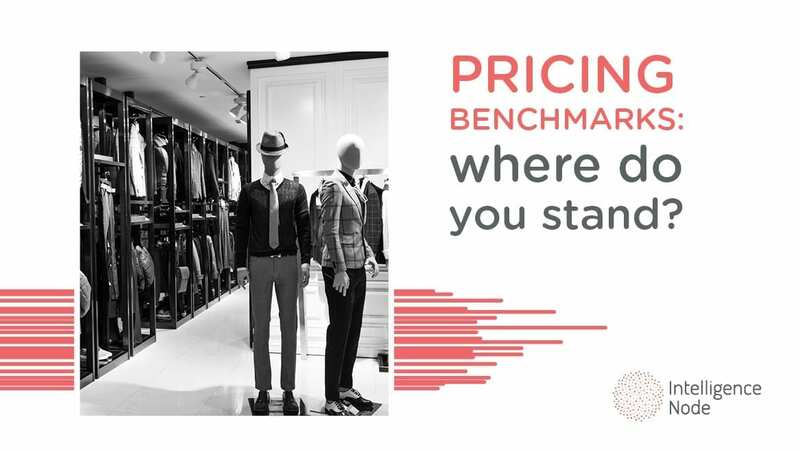 Let’s start off with the basic definition – what are pricing benchmarks? It’s the process of comparing your prices to the prices of the competition in a specific market segment. Why, one might ask, blissful in ignorance. The answer is very simple – because understanding your pricing and your position among your competition is of critical importance to a thriving business. This is especially pertinent to pricing managers and analysts who are trying to stay on pace with persistent fluctuations in the e-commerce ecosystem. Armed with this knowledge, a business is effectively positioning itself in the marketplace so that the target audience is thus willing to choose and pay for its products. That is certainly not an easy feat to achieve. This post will explain the nuances of price benchmarks and provide a more detailed look into the inside machinations of the process. When do you use pricing benchmarks? The need for pricing benchmarks arises, for the most part, when a business opts for the competitive pricing strategy. Just by observing other businesses in terms of their popularity and the quality of their offerings, a business is able to utilize pricing benchmarks to set a price for their own products, all the while keeping in mind the market position as related to its competition. Of course, using pricing benchmarks while balancing competitive pricing with profit margins is only one way to facilitate it into your business operations. A smart business will use it to analyze and identify both new and existing ways to improve its pricing methods, as well as implement processes that help scale and grow the brand’s presence. Now we get to the interesting part. Clearly, price benchmarking is a rather valuable tool in determining prices to achieve greater value. It also enables to assess the competitiveness of market rivals, identify any performance gaps in their operations and accentuate their strengths and weaknesses. But while the language here is quite pleasing and exciting, how is the whole process actually achieved? We have two words for you – competitive intelligence. As previously mentioned, rapid developments in the business world create quick changes that can make all the difference in the end. That is why real-time insights are so important – they provide a current view of the state of the market so that you are always aware of what your competition is doing, thus providing you a highly sought-for competitive advantage. Real-time data also effectively addresses the question of accuracy as it reflects actual prices across the marketplace with constant updates. The data provided with competitive intelligence tools is highly relevant and detailed. When we say detailed, let’s just say that we are talking about millions of products on the web. That way, you are able to monitor competitor prices real time and, with a wide coverage like that, map and compare similar products in your competition to optimize your prices. What good would this data be if you had to manually set and sift through it? Very little, we say, which is why high levels of automation are necessary for successful operations in these matters. Competitive intelligence tools can completely automate competitor benchmarking, allowing you to save time you can use for other matters. Add in the myriad of other things like data comparability, easy integration, multilingual support (any decent software will cover as many languages as possible to allow price benchmarking across different markets irrespective of the catalog display language) and so on – you get a complete picture why competitive intelligence tools are not only a credible and valuable option but must-have today. Pricing benchmarks validate the pricing strategy and policy a business chooses, compared to market best practices and other pricing models. It also identifies all the reasons for the given price such as costs and other expenses incurred by the competition. Entering a new market with price benchmarking ensures the operation is feasible in the first place. As it includes cost estimates of operating in specific locations, price benchmarking provides an overview of the financial viability of such undertaking. Because the process reflects actual prices, it makes sure you are competitively priced at all time – not underpriced or overpriced (coupled with an intelligent competitor price software, you’ll be able to seize on the customer demand to fully optimize your revenue). 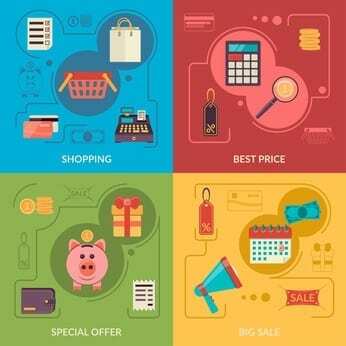 The simplest facet of pricing benchmarks, the time-saving aspect cannot be underlined enough. It gives you more time for other important processes in your business operations, not to mention that with pricing benchmarks through pricing intelligence, there is no need for detailed research on your own to establish what customers are paying for. Pricing benchmarks help determine what your audience is willing to pay for the products and services you offer, as well as monitor what your competitors within the industry are able to charge. For a business looking through a competitive lens, there is no better way to gradually adapt and improving their offerings. However, the process can take time which is why a company should consider choosing a software solution that basically does the work for you. Competitive intelligence tools provide data about both the competition and the market, while simultaneously saving you money and time with minimum risk. Price benchmarking is an ongoing process as prices regularly change. In order to be successful, a business needs to reflect the shifts in consumer preferences with their own prices, which is all the more reason why competitive intelligence tools with real-time data are the way to go.